“Give generously to them and do so without a grudging heart; then because of this the LORD your God will bless you in all your work and in everything you put your hand to.” – Deuteronomy 15:10. During this time of year, some of man’s best traits seem to be amplified. During this season of thanks and charity, generosity and love seem to flow freely. Redstone Church members served as an excellent example of work ethic and generosity at GKC. 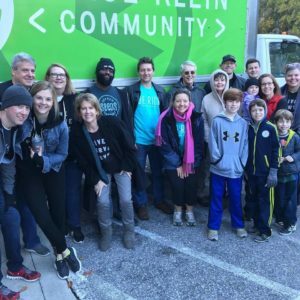 34 volunteers from Redstone Church gave of their time, muscle, and skills to help improve the GKC office and assist at our November Monthly Food Delivery. At the office, adults and children helped clean the house from top to bottom–these wonderful volunteers put their elbow grease into all corners of the building, ultimately leaving it looking better than brand new! After a couple of the ladies cleaned empty storage fridges, a couple of men also used their know-how to fix the seal on one of the fridge doors. Keeping GKC’s donated food fresh, for as long as possible, is critical to our efforts of providing families with perishable items. 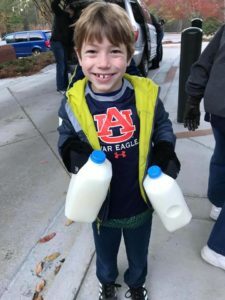 They helped provide a clean, organized space for food storage, while also strengthening the bond among themselves, the greater community, and Christ. 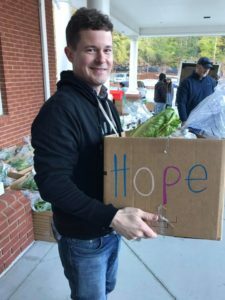 The second crew of Redstone members aided in the Monthly Food Box Delivery. November 2018 has been the largest Food Delivery yet in GKC history. 288 families received a box of food this month. 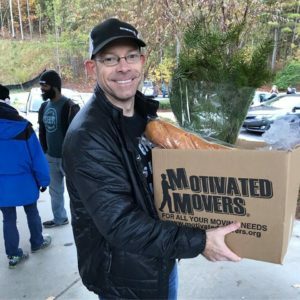 In addition to their monthly food boxes, Church of the Highlands Grandview Campus blessed each one of our food recipients with a Thanksgiving dinner! To read more about the November Food Delivery, please CLICK HERE. 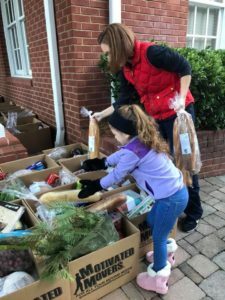 Redstone members helped polish off all the boxes by adding fresh produce, meat, dairy, Heavenly Donuts goodies, and fresh flowers from Trader Joe’s. 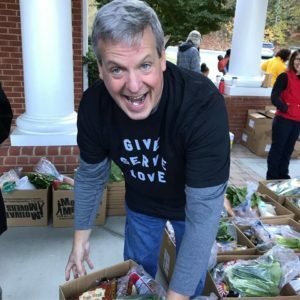 After the boxes were completed, GKC’s devoted team of volunteer drivers delivered the boxes, overflowing with food, to families across several counties in Alabama. The acts of service shared by Redstone Church are not quantifiable; the team offered the community exceptional dedication to the cause. Connections and relationships were made stronger across GKC staff, volunteers, and food recipients. GKC would not be able to reach as many families and individuals if we did not have support from selfless, giving spirits such as the Redstone serve team members. Thanksgiving time is all about remembering the little, but important things in life that may sometimes be taken for granted: food, friends, and faith are all everyday blessings we sometimes forget to acknowledge. Without nutritious food, our bodies suffer; without friendships, our emotional state suffers, and without faith, our spirits suffer. Much like everyone who participates in helping GKC’s impact, Redstone Church members love and act in a manner that shows how deeply they honor the trifecta of the cause. The generosity from Redstone Church, as well as many other partners, empowers GKC to continue serving the community with excellence.